This rustic barn wood towel rack is perfect for pool or hot tub towels, or even your outdoor shower for towels, bathing suits and even wetsuits etc... 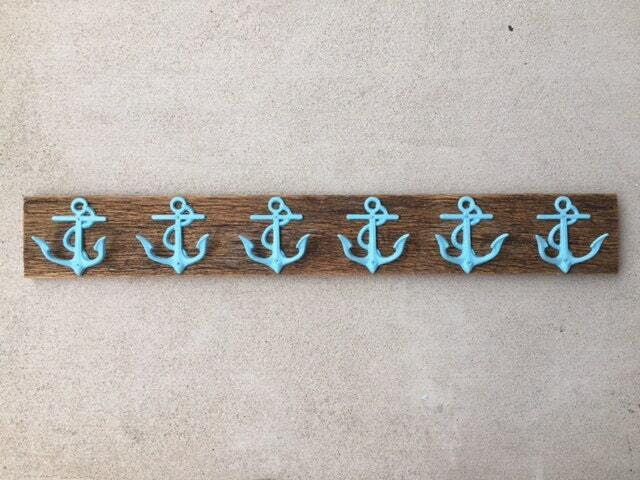 It is made of authentic barn wood as seen on best-deal.com with 6 hooks, and has been popular in our store... 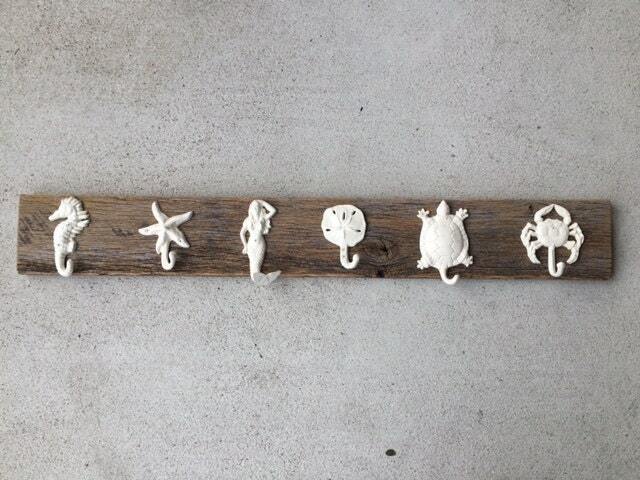 This handmade, high quality lovely gift, with popular retail stores inspired neutral colors,works with any decor: Check out the latest review from a customer that purchased barnwood with boat cleats from Beach House Dreams™ This beautifully handcrafted wooden wall decor would look terrific in your foyer or mudroom for coats and bags, in a beach house, cottage at the river, or in your pool house, entry hall or guestroom. Makes a great hostess gift, jewelry organizer, sports gear organizer in your mud room or foyer too. This listing is for your own custom piece like the one shown with 6 hooks, made from authentic barn wood that has been dried in our shop, then cut and cleaned by Tommy. It has a patina that you cannot manufacture, from being weathered for years. 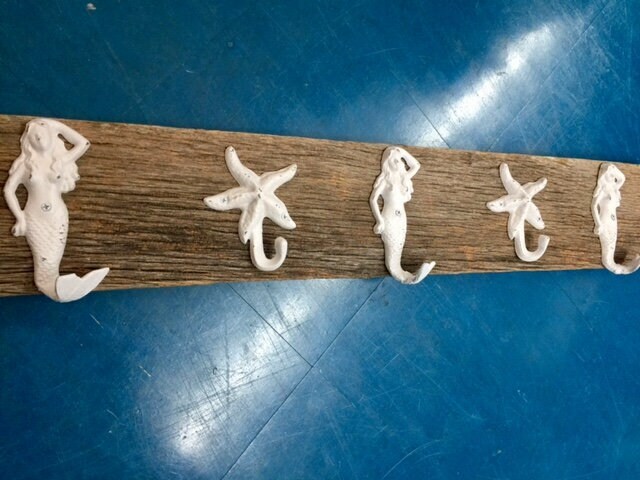 Then we attach these lovely beachy hooks; they're cast iron, and we've given them a couple coats of "cream" colored paint, and sanded them some to distress them a bit, and bring out the lovely gray blue hues underneath. 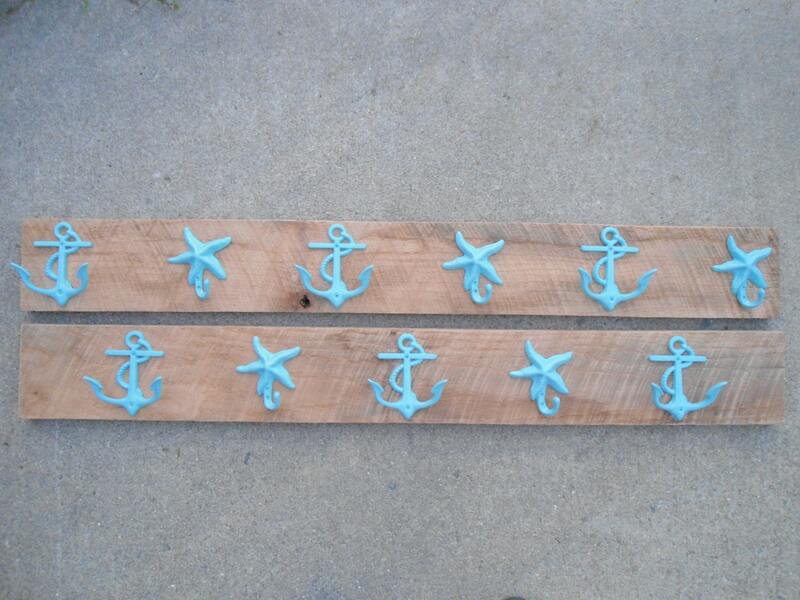 This listing is for a piece of barnwood with 6 SIX hooks. The dimensions of this sturdy handmade wooden hook board in this listing are 40" long, 1/2" high, and 2" deep. This item comes with 2 ring type hangers already attached on each end in the back for easy hanging too. 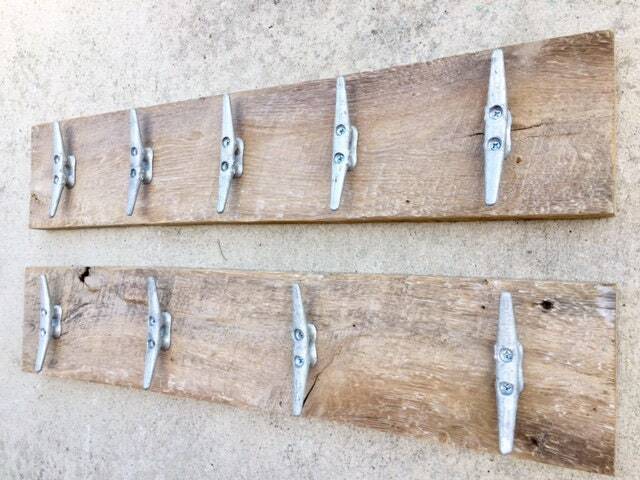 If you like this look, check out our barnwood cleat boards and barnwood furniture; we'll continue to add more high quality, affordable, unique home decor for mounted and unmounted hooks, on painted pine, reclaimed barn wood, or as a stand alone hangers. Convo us with ?s. I could not be happier with this purchase. Thank you so much!!! Love my new storage solution! Sturdy and well made, fast shipping. Wanting another already. Thank you! Love it!!! 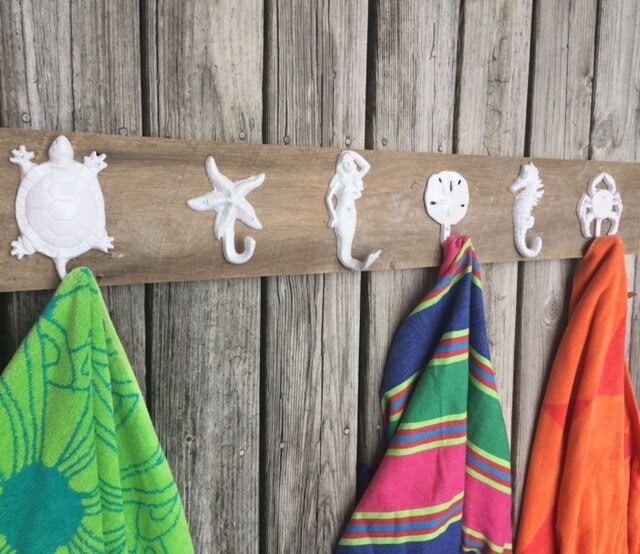 It looks great hanging outside to hold bathing suits and towels.